To make people aware of concerns about the wind industry here and to highlight issues locally, nationally and internationally. 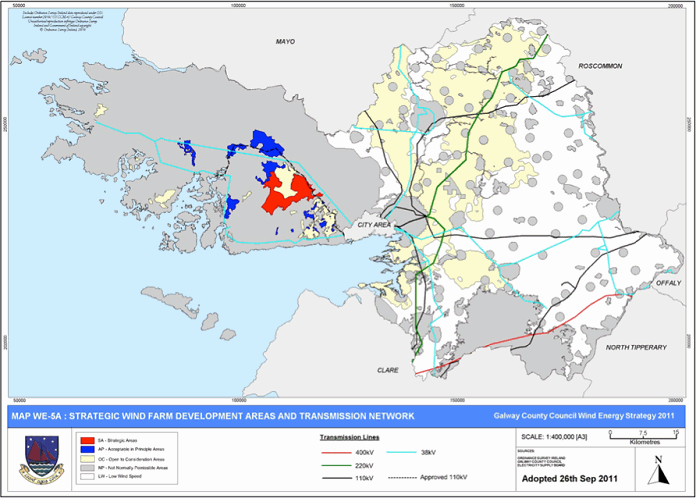 To end further wind farm development on land and on sea in Connemara by having changes made to the Galway Wind Strategy and by having the Connemara Coastline excluded from offshore windfarm development. 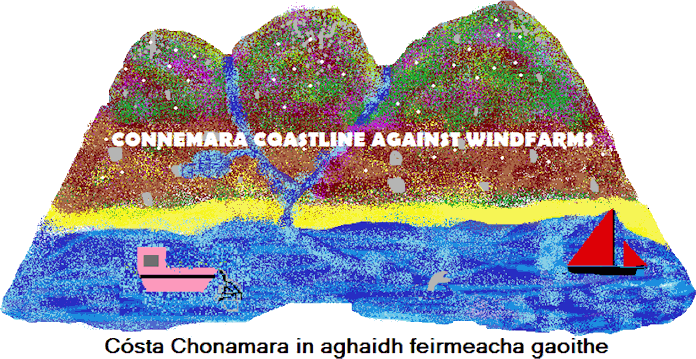 In 2009 a company called ‘Fuinneamh Sceirde Teoranta’ applied for a foreshore lease for the construction of a 20 turbine windfarm, 140m high, and only 5km off the Connemara Coastline in one of the most beautiful coastal areas of the world. MacDara’s Island is located only three Km from the proposed wind farm and the area being applied for in the lease application is almost four times greater than the area of the twenty turbines. No decision has been made yet but the application is active. The application is being examined at present by the Marine License Review Committee. The Minister for the Environment, Mr. Phil Hogan has the final say in the granting of the lease under outdated legislation -The Foreshore Act 1933 (revised). Members of the public have no right of appeal. A local family in Connemara can have up to 40 planning conditions on a modest bungalow home on the basis of protecting Connemara’s visual amenity. Many families are refused planning permission for housing on visual or environmental grounds in Connemara while Windfarm Companies are given planning for large-scale industrial development in the same locality without any due regard for the environment or the visual amenity. MacDara, meaning ‘the Son of the oak-wood’ was a metaphorical name for the fox. St. MacDara was an Early Christian monk who resided on the Island which still bears his name. 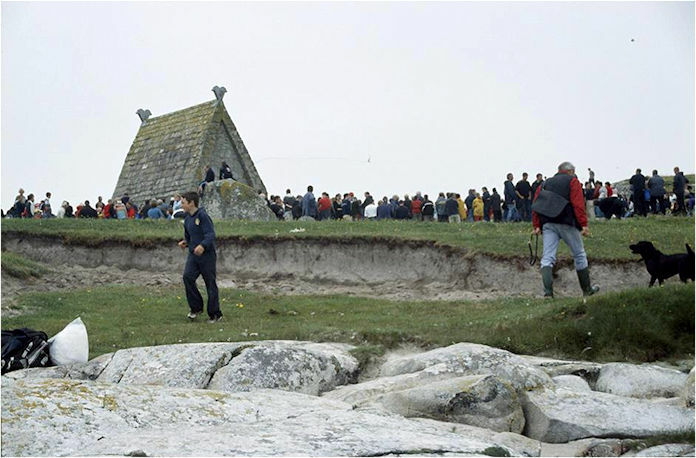 St. MacDara’s feast day is the 16th of July when there is an annual pilgrimage to the Island. 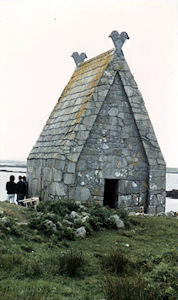 Local fishermen gather at Mace Pier and transport pilgrims on their fifteen minute journey to the Island where Mass is said at the gable of the little stone church. 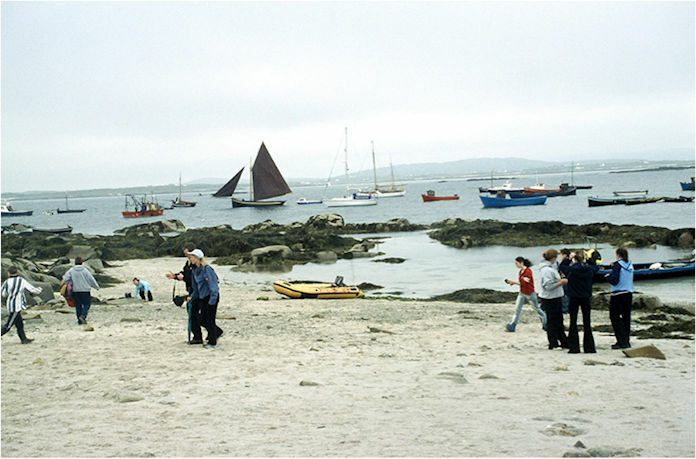 Boatmen carrying pilgrims also converge on the Island from Carraroe through Greatmans Bay; from Rosaveel through Casla Bay; from the Aran Islands and Ceantair Na nOileain; from Roundstone and Inishnee through Bertraboy Bay and also from Ballyconneely. 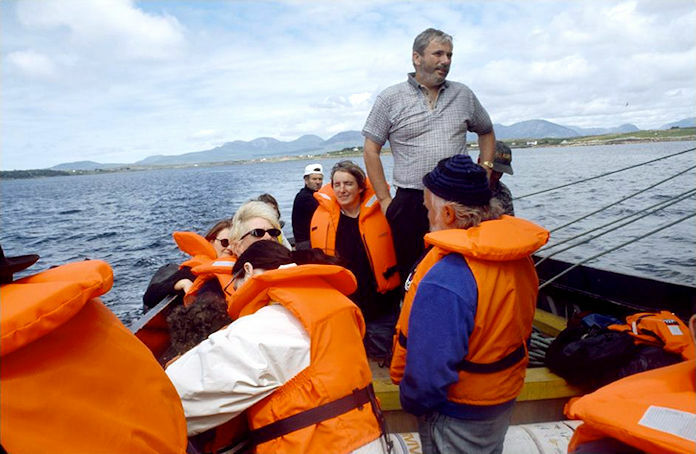 They travel on a spiritual sea voyage to venerate the Patron saint of Connemara fishermen. Traditionally boatmen dipped their sails while sailing past the Island and this tradition continues today. The proposed offshore windfarm (if successful) will be located in the way of this ancient pilgrim route. 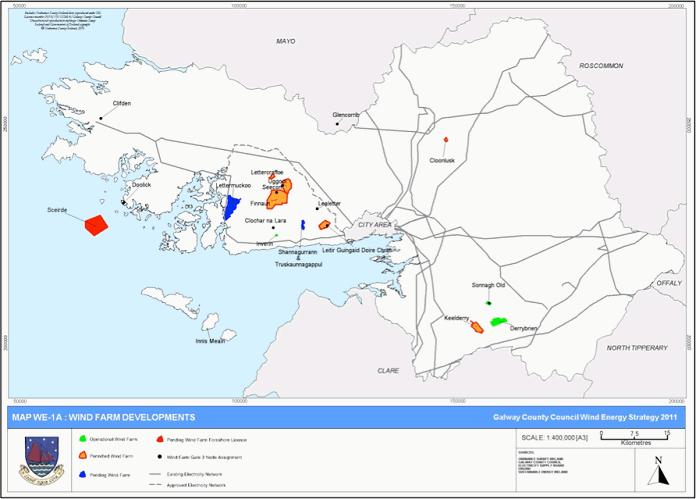 Only one public meeting was held by the developer to outline what was proposed during the two month planning phase in 2019. This meeting was held in Carna but no meetings were held in Roundstone, Clifden, Ballyconneely or on the Aran Islands to inform people of the implications and impacts. The Carna meeting only arose because of pressure brought to bear by members of the local community. The Carna meeting took place after the deadline for submissions objecting to the development. The deadline was extended by one week but only those who had attended the meeting were permitted to make submissions after the extended deadline. The Minister for the Environment Phil Hogan has the final say in the granting of the foreshore lease. When a decision is made there will be no right of appeal. The Foreshore Act 1933 (revised) confers authority on the Minister for the Environment to award foreshore leases for construction of Wind Farms in Irish waters at his absolute discretion. There is no statutory involvement of local planning authorities. There is no public right of appeal to an independent planning appeals board. The size of permitted Wind Farm developments and their proximity to scenic coastlines are out of line with best international practice. Fishermen have blamed the installation of a wind farm cable at Skegness, Lincolnshire for killing hundreds of tonnes of cockles. 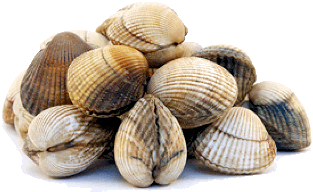 The Fisherman's Association said between 800 and 1,200 tonnes of cockles were destroyed. The power company said the fishermen had received £230,000 in compensation and that only 25 tonnes of adult cockles were killed. 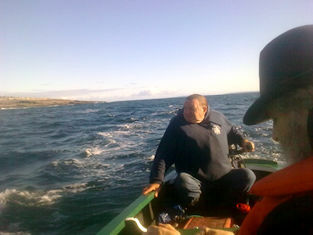 The Carna Coast is a rich fishing ground with great potential if managed in a sustainable way. It is one of the rare habitats where lobster and crayfish co-exist. Foreshore leases in Irish state-owned waters, awarded with no competitive tender, have been sold on to international power companies by the original Irish promoters, netting significant profit for speculators. Most Irish people are unaware of the undemocratic nature of the permitting process and the massive scale of development permitted (and proposed). These 20 turbines, 140m high will be visible from the Sky Road in Clifden and The Aran Islands. The views of the Atlantic from the Roundstone to Ballyconneely coastal route will be ruined by this development. The Wild Atlantic Way is a Fáilte Ireland tourism initiative. This windfarm will be highly visible from many of their focus viewing points. In December 2012 this campaign collected 200 signatures as a petition to Fáilte Ireland. It read ‘Sceirde Offshore Wind-farm Will Spoil the Wild Atlantic Way’. The signatures were mainly from small businesses in Clifden, Carna and Roundstone. The campaign also made a submission on the proposed ’Wild Atlantic Way’ which is summarised above. Windfarms are not clean or green and many of them are only 23% effective and they are heavily subsidised. The Carna to Roundstone area of Connemara has 30% unemployment -one of the highest in the country. There are few long term jobs created by the wind industry in the local economy where windfarms are located. Offshore windfarms are even less efficient than onshore examples because they are so costly to construct and so difficult to maintain. According to a report on the ‘Morning Ireland’ news Programme on RTE Radio, the European Investment Bank view Windfarms in the West of Ireland as a major growth area. It is one of the few industries for which German Banks are willing to release venture capital at present. This is the same developer led model that lost us our sovereignty and beggared the nation. Author Erin Gibbons January 2013.